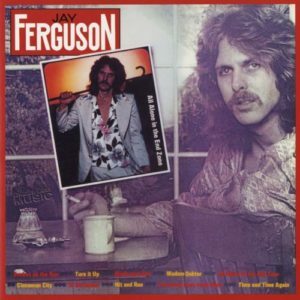 Jay Ferguson is not a name that would necessarily jump out at you right away, but he has a really interesting musical history. 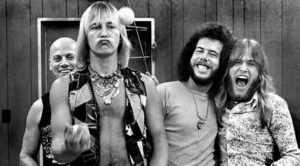 He was one of the founding members of Spirit, the California rock group, along with the late Randy California and some other talented guys. You may know them because of a song called “I Got A Line On You.” Or maybe, one of my old favorites, “Nature’s Way.” Sort of a hippie-era nod to environmental concerns. (That was a great song, by the way.) 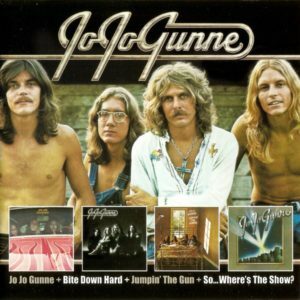 When he left Spirit, he started a group called Jo Jo Gunne. Remember a song called, “Run, Run, Run?” That was Jo Jo Gunne. Ferguson embarked on a solo career, and had this big Top Ten hit, “Thunder Island,” and then was no longer in the spotlight for a long time. Truth be told, I forgot about him…but later, it turns out, Ferguson was producing other artists’ records, and over the years, he’s done spectacularly well as a composer of music from tv shows and movies. He’s responsible for the theme from “The Office” on television. The soundtrack for one of the “Nightmare on Elm Street” movies. And something you can hear now on a regular basis is the them from another popular tv show, “NCIS-Los Angeles.” So, he’s a multi-instrumentalist and a very talented guy.